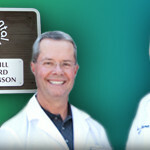 Mark S. Zard, D. D. S. and Stacey Johanson, D. D. S.
The Family Dental Center of Caledonia has been taking care of smiles and families in Caledonia, MN for the past 60 years. Our commitment is to provide you, our patients, with the highest quality dental care in a friendly atmosphere that can put your mind at ease. We have helpful staff, a comfortable reception area with activities for young & old and spacious modern exam rooms. Whether 2 or 92, we are dedicated to creating beautiful smiles. Members of the American Dental Association.